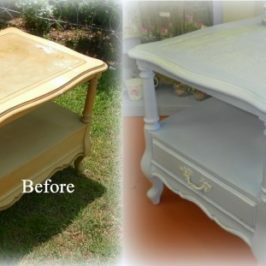 Today I am happy to share a little before and after story. 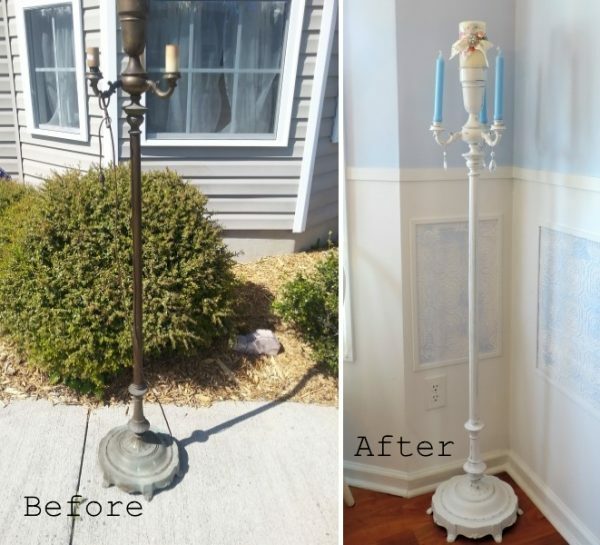 A vintage torchiere lamp gets a new life as a pretty shabby chic candelabra that is romantic and elegant! 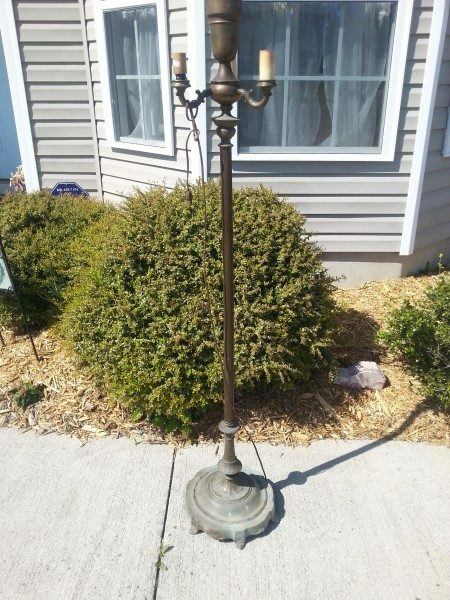 I found this vintage torchiere floor lamp at a local thrift store and immediately fell in love with the ornate details of the piece. I knew I could bring it back to life. Instead of rewiring it and using it as a traditional lamp I decided to go another way. I knew it would make a lovely candelabra. 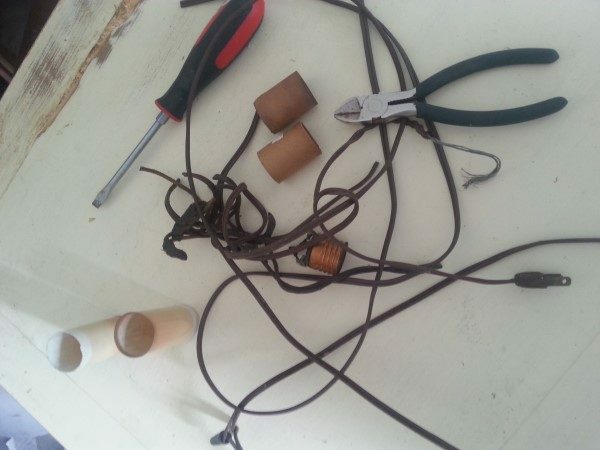 I grabbed my trusty toolbox and proceeded to removing all the wiring and lighting parts. 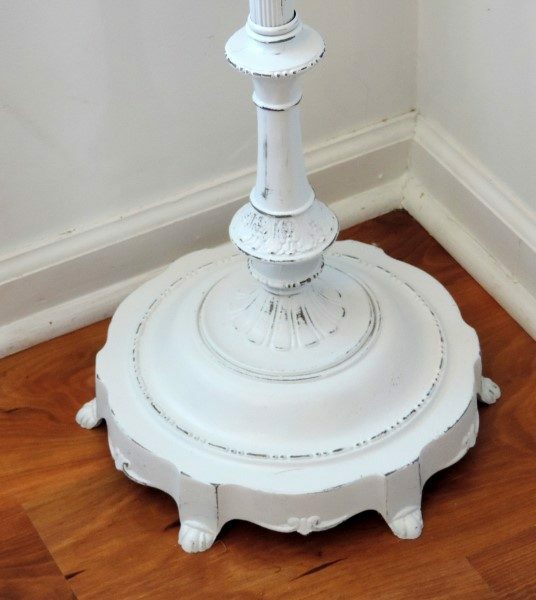 I painted the entire vintage torchiere lamp base a few coats of fresh crisp white. I knew I wanted to use taper candles in the candelabra. 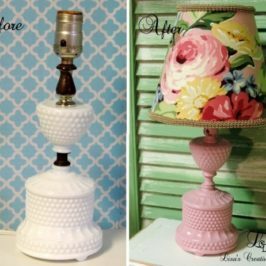 There were a few metal candle cups in my craft supply stash so I painted them white as well and glued them into each arm of the lamp base. 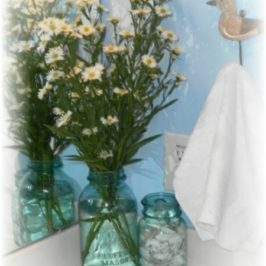 Note: Alternatively, you could omit this part of the project and use votive candles if you try this DIY makeover yourself. 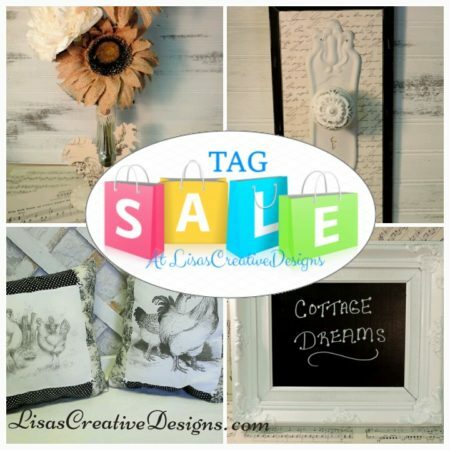 Votive candles would fit perfectly in the base of each arm. 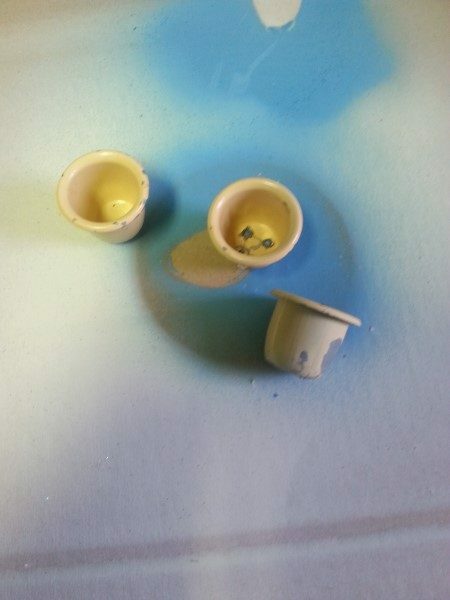 The next step was to distress the entire piece to bring out the details, add a few crystals and then the candles. 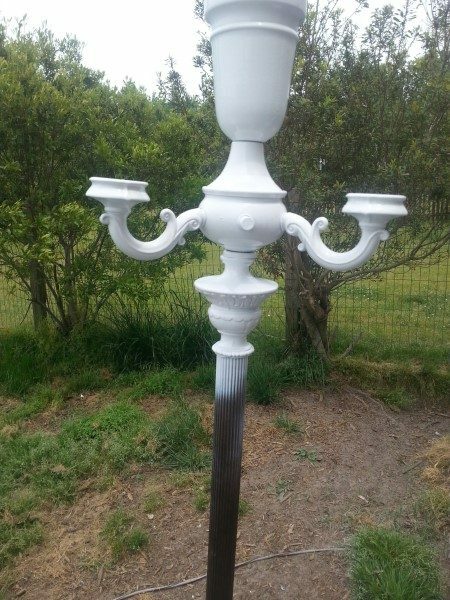 I think this Upcycled Vintage Torchiere Lamp Candelabra looks just darling. I have it in my dining room for now but plan on moving it into my master bedroom soon. The main pillar candle in the center coordinates more with the bedroom. As you can see the distressed look really brings out the details. 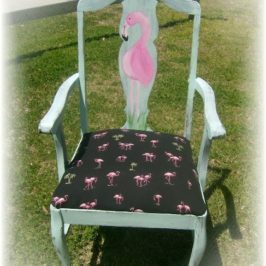 I hope the “shabby” distressed look never goes out of style. Here’s a closeup of the candle arrangement. 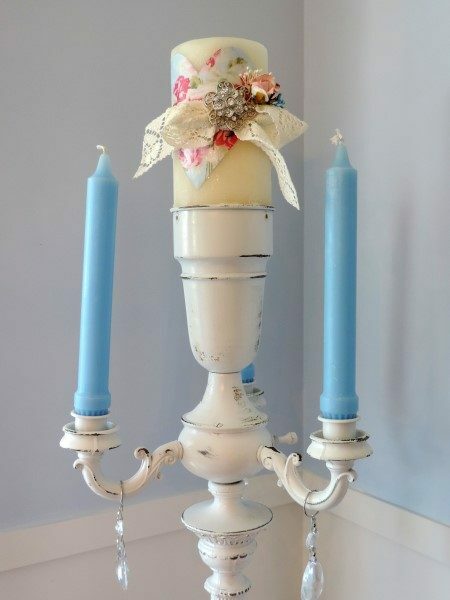 I embellished the main pillar candle with a rose inspired paper heart, small flowers, a rhinestone brooch and lace bow. Of course this candle is for decorative purpose only, not to burn but to look at! Here’s the final before and after photo. What do you think of its transformation? Looking for an awesome Halloween prop?!!! 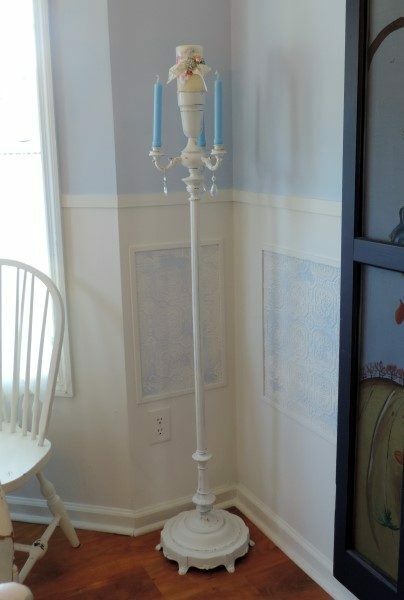 You could paint a similar thrift store torchiere lamp base black, add some crystals and black candles for a spooky look! 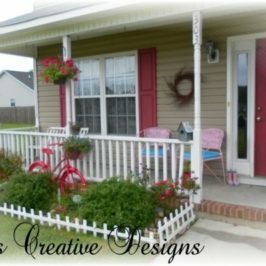 I actually thought about doing this at first but decided I wanted to display it year round and I don’t really have much black in my home. 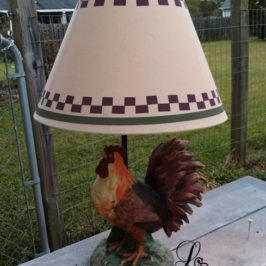 If you are lucky enough to find a vintage torchiere lamp like this one and tackle the project yourself please send me a photo! You can attach a photo in the comment section below.